Richard J. Idell has both a trial and transactional practice. He has handled a wide range of litigation matters in both State and Federal Court in the last 40 years, involving complex business disputes; complex investment banking transactions, including tax shelters; copyright; trademark; unfair competition; trade secret; internet law (including trademark and copyright issues, domain name disputes, search engine issues, key word and other advertising issues and related matters); real estate matters; construction disputes; professional negligence (including complex attorney-client fee disputes, attorney malpractice, accountancy malpractice, architectural malpractice and insurance broker negligence claims); insurance matters and tort claims. Mr. Idell is a veteran entertainment lawyer handling both trial and transactional matters involving music and film and, in particular, live entertainment. He has represented, and continues to represent, many of the venues and promoters in the Bay Area, including Bill Graham and Bill Graham Presents (now Live Nation), Another Planet Entertainment, Shorenstein Hays Nederlander Theatres, Latitude 38 Entertainment and the San Francisco Symphony. His entertainment litigation practice has included matters involving commercial leases, licensing, contracts, copyright, trademark, trade dress, unfair competition, Internet issues, domain name disputes, force majeure issues and other live entertainment performance issues. His practice has included venue leases, entitlements and permitting by municipalities, artist agreements, tour agreements, tour joint ventures, sponsorship contracts, publicity rights agreements, domain name issues, force majeure issues, venue liability for patron claims, insurance, indemnity, ADA compliance, venue construction, CEQA matters, land-use, easement issues, insurance and real estate matters, including complex commercial lease disputes, purchase and sale issues and tort law. He has a particular specialty in legal issues relating to outdoor music festivals and events having been counsel to numerous such projects, including the San Francisco Outside Lands Music and Arts Festival®, the Treasure Island Music Festival® and the Bottlerock® Music Festival Napa Valley. Mr. Idell and his wife are grape growers in Sonoma Valley having purchased their vineyard in 2005. He and his wife produce wine under Idell Family Vineyards and the brand “Oscar”. Mr. Idell and his wife reside in the town of Sonoma and, in addition to maintaining his entertainment law practice, over the last decade his law practice has come to include a variety of real estate, land use and wine industry issues. He represents wineries and growers in both litigation, administrative and transactional matters with a significant emphasis on real estate and land use matters including purchase and sale of vineyard and winery properties, easements, water issues, Williamson Act issues and environmental issues. He also counsels on general wine business and operational issues. His wine industry practice includes representation of grape growers, winery owners, wine bottle manufacturers, wine barrel purveyors, on-line wine retailing and others in the industry. Calling on his many years of dealing with cities, counties, states and the federal government on permits for live entertainment endeavors, Mr. Idell is actively involved in representation of wineries and related venues, permitting for events and ABC and TTB regulatory issues. Mr. Idell is Chair of a special committee of the Sonoma Valley Vintners & Growers Alliance (“SVVGA”) on county, state and regulatory issues that impact wineries, growers, tasting rooms operations and events at wineries. He is also on the Sonoma County Vintners’ Government Relations Committee. He is also on the board of SVVGA. Mr. Idell is a Lecturer in the Sonoma State University Wine Business Institute, teaching a course in 2014 entitled: “Navigating the Regulatory Process for Obtaining a Use Permit for a Winery and Tasting Room”. For 2015, he lectured on: “Setting Up Your Wine Business From a Legal Perspective”. In 2016 Mr. Idell was the instructor and lecturer for a course in the Wine Executive MBA Program at Sonoma State University entitled: “Leadership, Compliance and Governmental Relations” which covers all of the many legal issues involved in running a wine business including ABC and TTB licensing, permitting and other use regulation, trademarks and branding, direct shipping to consumers, interstate sales and shipping to wholesalers, mergers and acquisitions, vineyard development and management and international sales. His many years handling trademark, copyright and other branding issues has given him a firm base of experience and knowledge for counseling the wine industry on branding issues as well and he represents numerous wine producers in their trademark, branding and labeling. Mr. Idell has served as an expert witness in a variety of litigation matters involving licensing and standard of care, copyright, trademark, publicity issues and reasonableness of attorney billings. He is a frequent lecturer at local and national legal conferences. He is a Past Chair of the American Bar Association Forum on the Entertainment and Sports Industries having served as Chair 2013-2015. Mr. Idell is on the Board of the Bill Graham Memorial Foundation. He is a former Board President (and current board member) of the California Film Institute, which, among other nonprofit endeavors, presents the annual prestigious Mill Valley Film Festival each October and operates the Christopher B. Smith Rafael Film Center in San Rafael, California (a fully renovated art deco theater). Mr. Idell, as Board President of the California Film Institute, was instrumental in the acquisition by a private investment group of the Sequoia Theater in Mill Valley to preserve that landmark building for ultimate acquisition by the California Film Institute. He was formerly on the Board of Trips for Kids of San Rafael and formerly on the Board of Playground, a nonprofit promoting and developing the work of new playwrights in the context of a community theater environment. Mr. Idell also served on the Advisory Board of Weill Hall at the Green Music Center at Sonoma State University and Chair of the Governance Committee for that board. 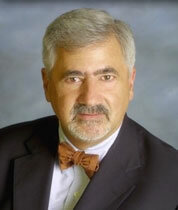 Mr. Idell has an active mediation and arbitration practice with an emphasis on entertainment and wine industry issues. He is a neutral with the American Arbitration Association, the Superior Court of Marin County and the Bar Association of San Francisco. the American Bar Association Forum on the Entertainment and Sports Industries , and was previously an active member of Bay Area Gastronomique Entertainment Lawyers Societe (“BAGELS”). Mr. Idell obtained an A.B. University of California at Berkeley 1970 and his J.D. from Golden Gate University School of Law in 1975. He was admitted to the California Bar in 1976. He practiced law with the Honorable Judge Carlos T. Bea of the Ninth Circuit from 1977 to 1986, forming the predecessor to his current firm in 1986. 25503.40 which had the effect of allowing by its terms, the BottleRock® Music Festival, a client of The Idell Firm, in Napa, California, to enter into sponsorship by alcohol beverage suppliers including the sale of advertising time and space. The legislative sponsor for the bill was Assemblyman Bill Dodd, Democrat Assemblyman from Napa and now State Senator. Author of Legislation: On September 21, 2015, California Governor Edmund G. Brown, Jr. signed Senate Bill 462 into law. The bill aimed at providing certain Tied House exemptions for the facility at Sonoma State University known as Weill Hall and Schroeder Hall at the Green Music Center. The new law which went into effect immediately as an urgency measure, allowed the facility to have sponsorship by alcohol beverage suppliers and provides for certain benefits to a non-profit that is raising money for the facility. The bill amended Section 25503.6 of the California Business and Professions Code and added Section 25503.34 to the California Business and Professions Code. The legislative lead legislative sponsor for the bill was Senator Lois Wolk, Democrat from Davis. Co-authors were Senator Mike McGuire, Democrat representing the 2nd Senate District – North Coast / North Bay and Assemblyman Marc Levine, Democrat representing portions of Marin County and Southern Sonoma County. The legislation provided an exemption, referred to as a “tied-house” exemption, for Weill Hall and Schroeder Hall at the Green Music Center to allow advertising space to be sold to beer manufacturers, winegrowers, distilled spirits rectifiers, distilled spirits manufacturers, or distilled spirits agents. The bill also enables Weill Hall and Schroeder Hall at Green Music Center to accept donated product and recognize those entities that make donations, provided that a temporary license has been issued by the ABC.